I’m a bit behind on sales posts so here you go. June was adequate if unspectacular. I didn’t have any particular successful yard sales, but my eBay sales were relatively high value items – I averaged around 80$ per transaction. A lot of the items came from the Plateau and Mile End neighbourhoods, and that spot with the vintage electronics provided a good chunk of the value. I certainly don’t get rich off months like June (or any month to be honest) but my profits were good enough to pay the bills and mostly neutralize financial stress. 1. 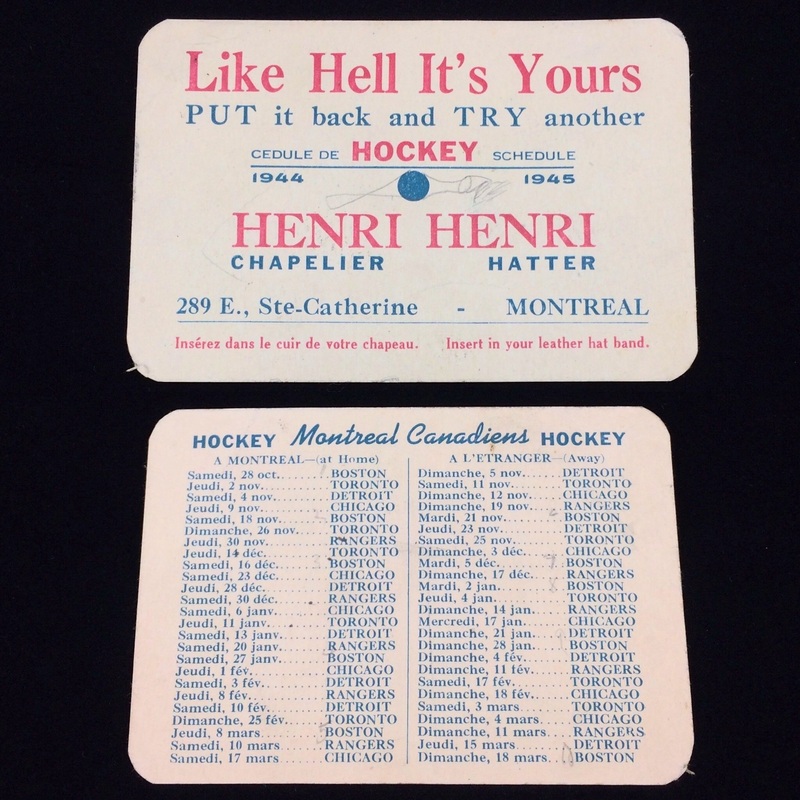 Vintage 1944-1945 Montreal Canadiens Schedule: On eBay for 150$. I found no record of any similar schedules on the internet, so there’s a possibility that I found the only one left in existence. Who knows? At the very least they seem to be pretty uncommon. Regardless, I’m happy with the price I got here. This schedule, which was a bit bigger than your average business card, was worth around its weight in gold. Found in Villeray. 2. 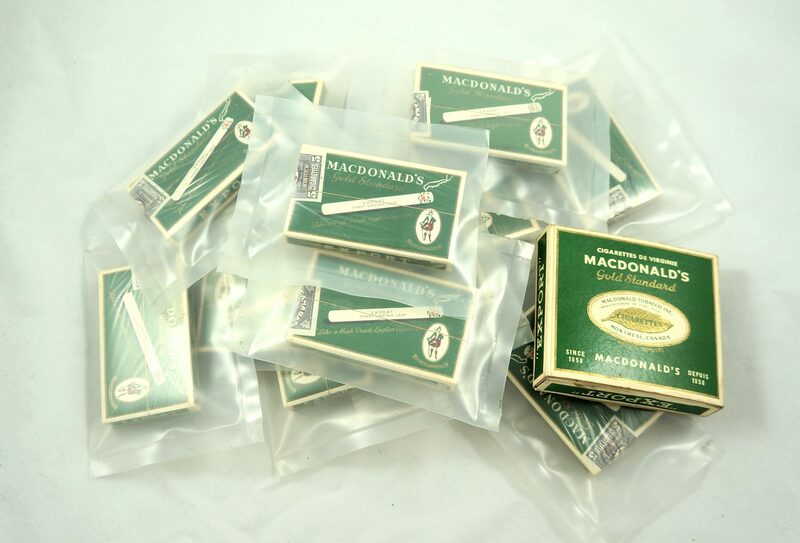 Five packs of Vintage MacDonald’s cigarettes: On eBay for 137.50$. I also sold another two to someone else for 70$. I only have a few left now. Unfortunately, eBay has since deleted my listing citing that tobacco sales are strictly prohibited. However, according to this page it seems that they allow cigarette sales as long as you say that they are being sold as collectible packaging only. I’ll have to call eBay to clarify these positions. Found in Villeray. 3. 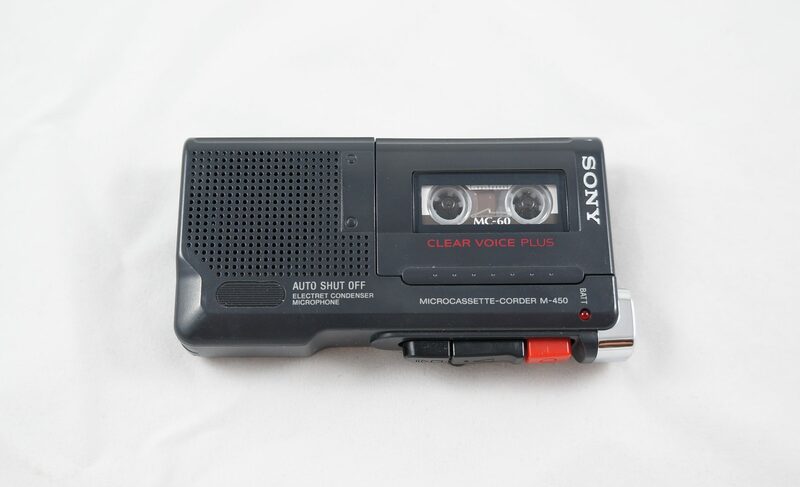 Sony Microcassette Recorder: On eBay for 40$. Found on St-Viateur in the Mile End. 5. Ortofon STM-72 Stereo Transformer: On eBay for 200$. I sold this as used, but I got a premium because it looked NIB, or new in box. Both were found in the lower Plateau. 6. Voigtlander film camera: On eBay for 25$. Found in Outremont, took a while to sell. 7. 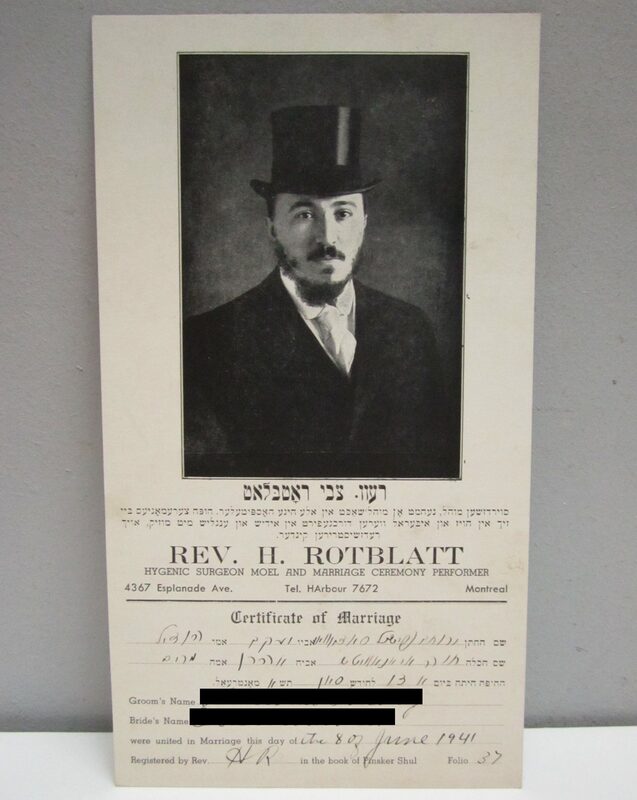 Vintage 1940s Jewish marriage certificate: On eBay for 35$. A neat find from Cote St-Luc. Also a slow seller. 8. Lizon vintage eyeglasses: On eBay for 20$. I was starting to think these would never sell, but then they did. Found in NDG. 9. 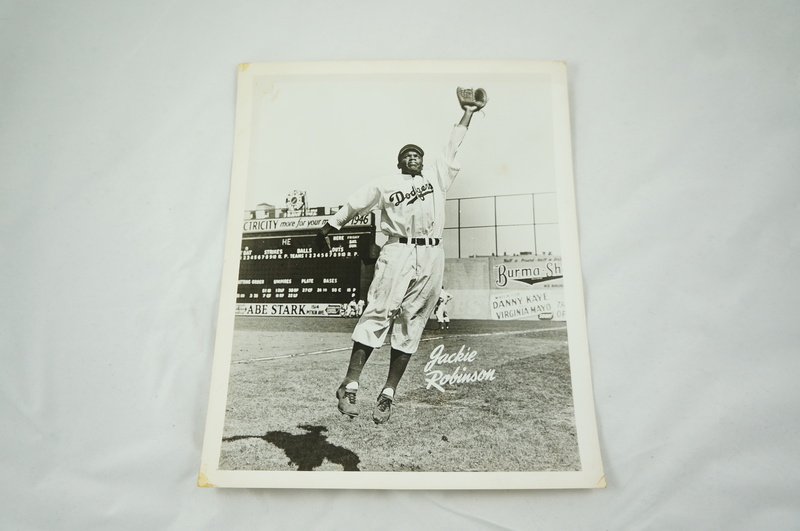 Jackie Robinson 8×10 photo: On eBay for 60$. Found a while back in NDG but only recently listed. One of my garbage picking dreams is to find some Jackie ephemera from when he played with the Montreal Royals in 1946. Maybe one day it will come true. 10. Production Variance Analysis in SAP Controlling by John Jordan: On eBay for 65$. I was wondering if I had wasted my time listing that collection of slightly old SAP (programming) textbooks I found a while back. It had been a few months and not one had sold. Fortunately, I’ve now sold two for a prices high enough to justify the effort. Hopefully the rest sell at some point, but if not at least I made my three figures. Found in the lower Plateau. 11. 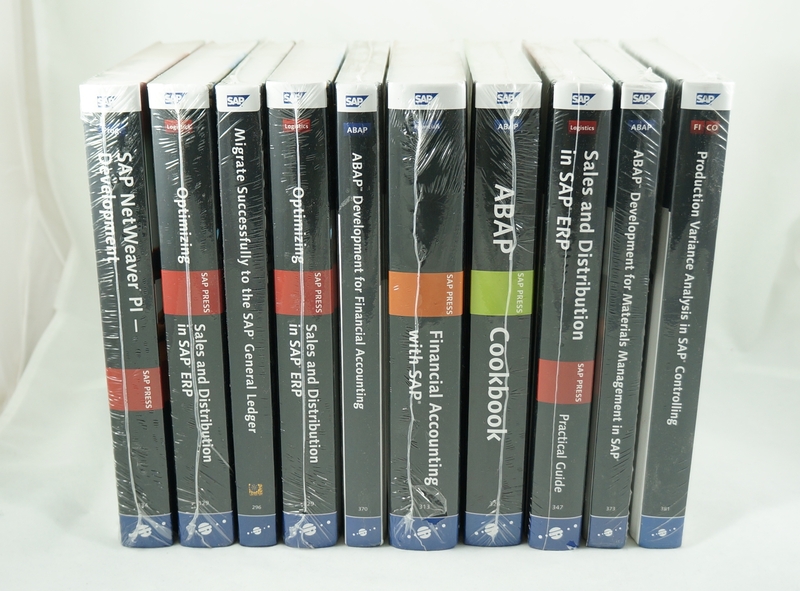 Practical Guide to Sales and Distribution in SAP ERP: On eBay for 65$. 12. 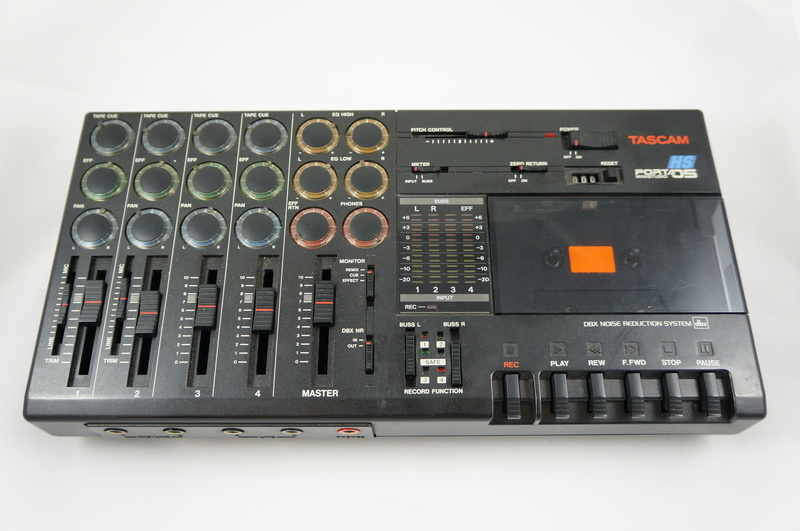 Tascam Porta-05 Mini-Studio: On eBay for 70$. I didn’t have the power cord for this, and new power cords were kind of expensive (at least 30$). Because of that I decided to list it “untested, as is” for what I thought was a pretty reasonable price. 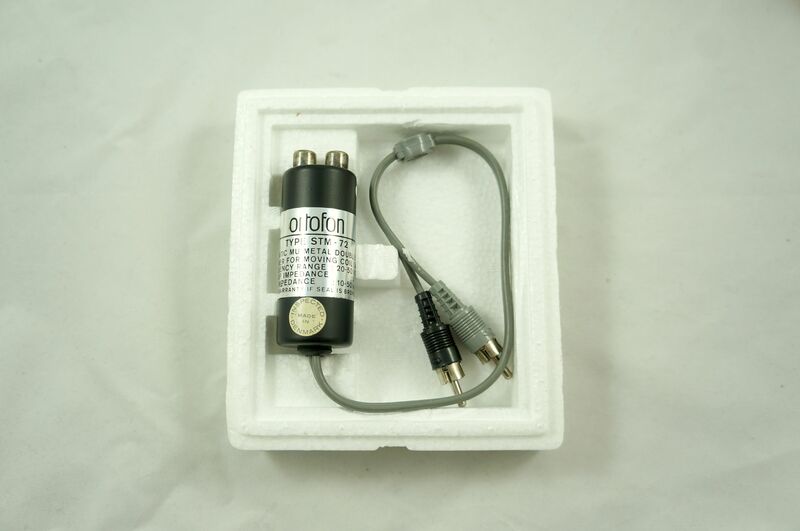 However, the buyer asked for a return because of some problem with the play button. That was annoying, because I made it pretty clear that the buyer shouldn’t expect the unit to work. On the other hand, I also screwed up by listing the condition as “used” (I’m not sure how that happened, brainfart on my part I guess) instead of “for parts, repair”. 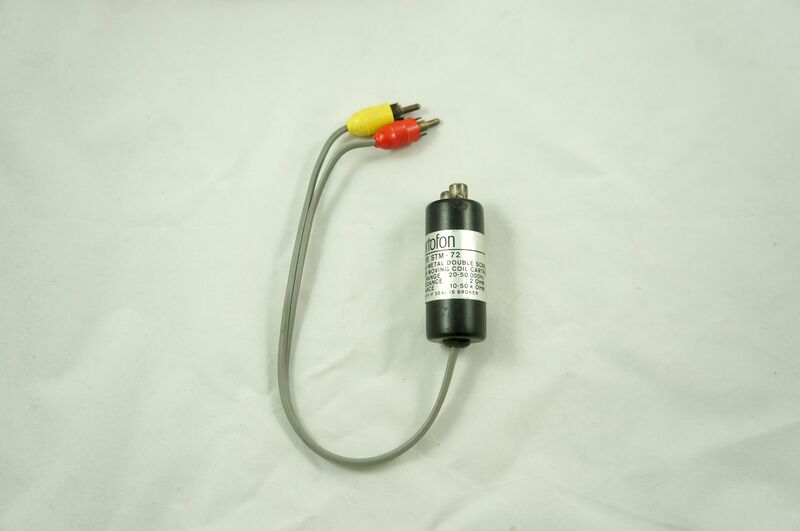 That meant I couldn’t reject the return outright – eBay states that things listed as used should be functional. Anyways, the guy later said that his friend might be able to fix it, and I haven’t heard from him for around a month now. Maybe it’ll all work out. Found in NDG. 13. 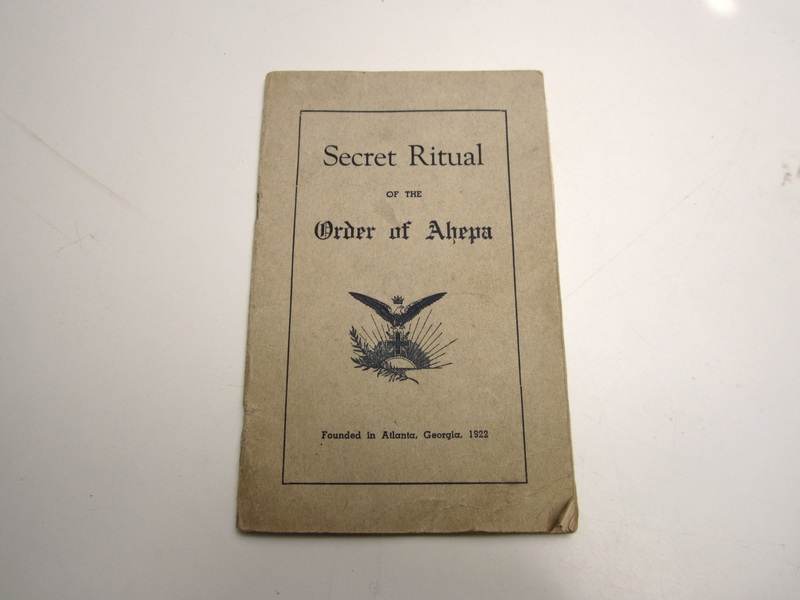 Vintage Order of Ahepa secret ritual: On eBay for 50$. Found a few years ago in Ville St Laurent. 14. 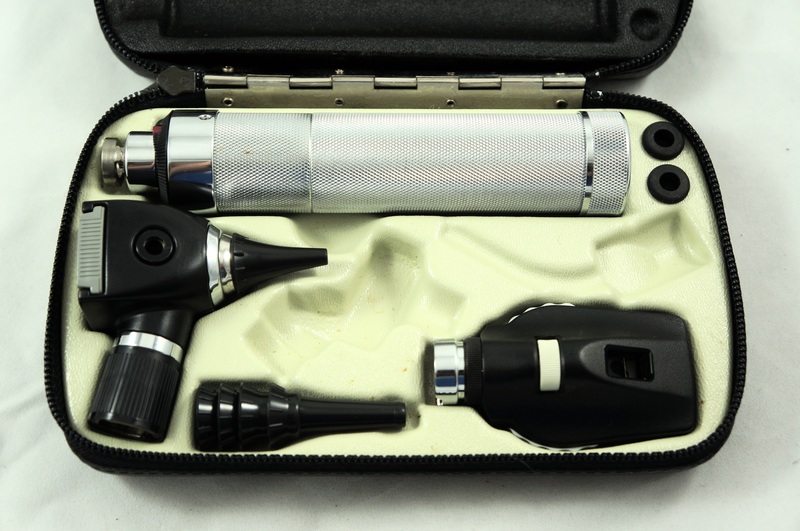 Welch Allyn diagnostic set: On eBay for 90$. I got more for this than I expected to. Another item sold as “untested” – the battery had long since died, and I wasn’t going to go out of my way to replace it. Found in VMR. 15. 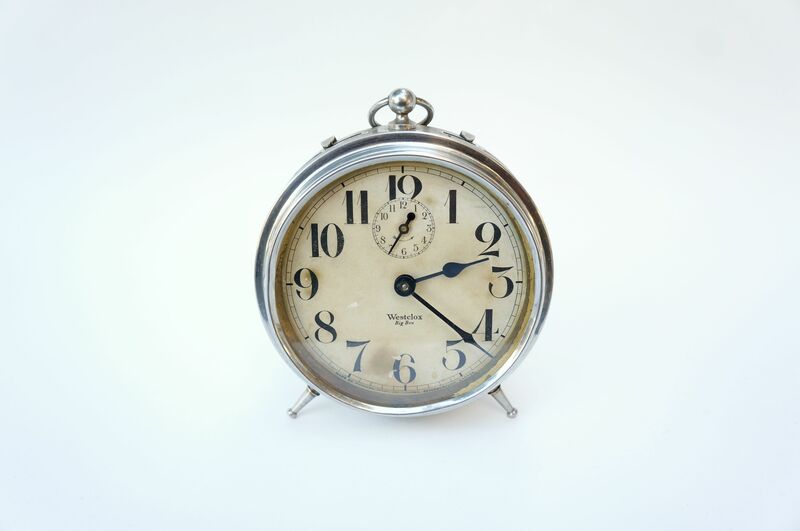 Vintage 1920s / 1930s Westclox Big Ben alarm clock: On eBay for 70$. This was a beautiful clock but it ticked very loudly. Some people are into that, but I warned in my listing that others might not be. Found in the Mile End. 16. 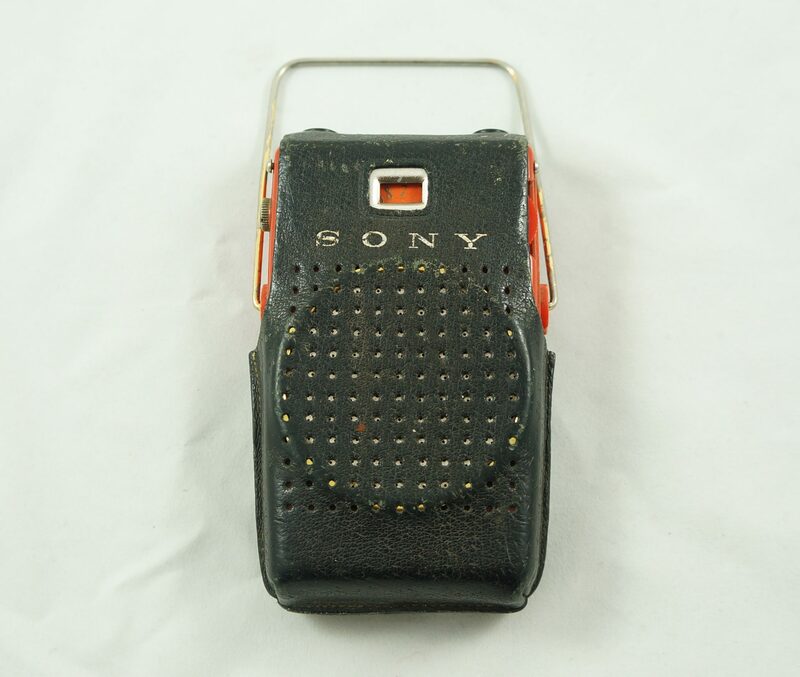 Sony TR-610 Transistor Radio: On eBay for 130$. I love finding old radios. Found in the lower Plateau. 17. Cross fountain pen, 14k gold nib: On eBay for 40$. Found in the Mile End. 18. 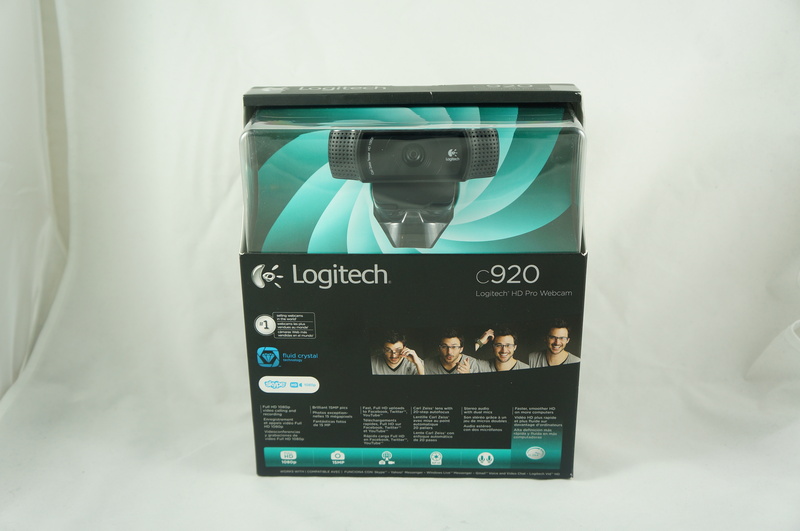 NIB Logitech webcam: On eBay for 75$. This had never been opened. Found in VMR. 19. 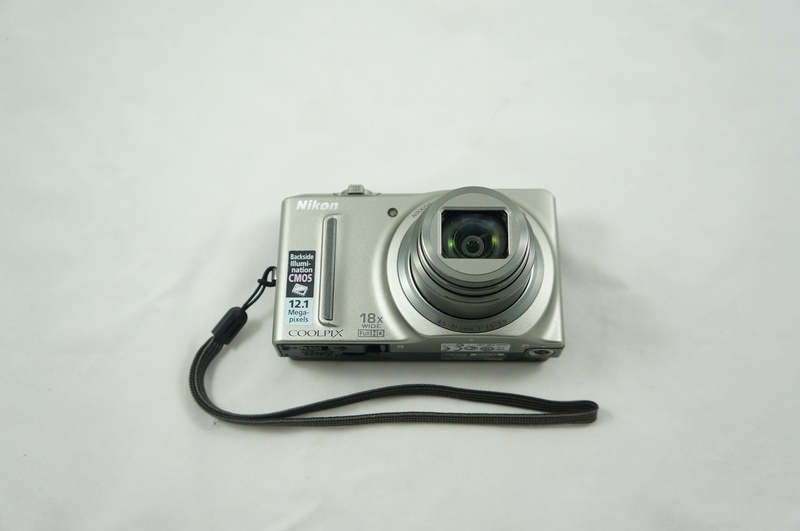 Nikon Coolpix camera: On Kijiji for 50$. Worked totally fine. Even came with the charger. Found in Westmount. 20. 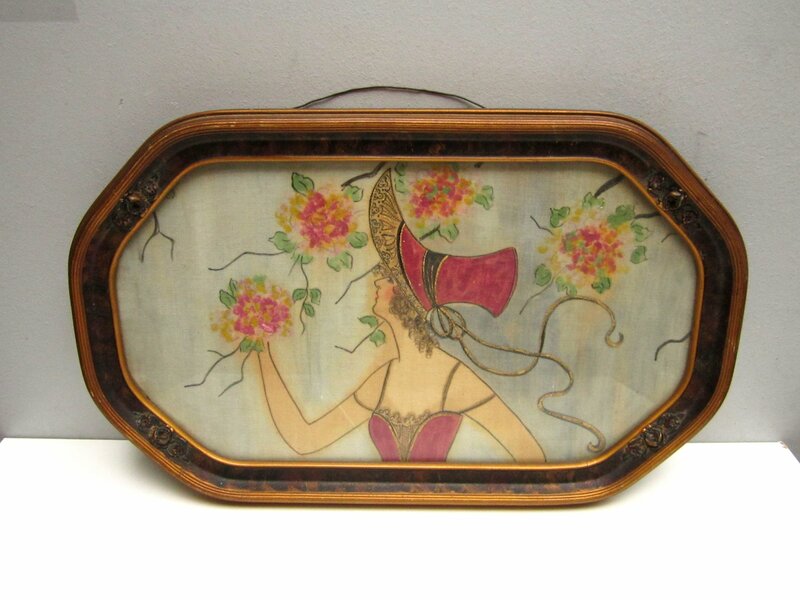 Vintage art: On Kijiji for 50$. I had this cool painting for quite some time. It looked to be painted on cloth, and was probably made in art deco times. Perhaps I could have gotten more for it on eBay, but it would have been a hassle to ship. I’m just happy it finally found a new home. Saved in Outremont. 21. Silver ring: On Etsy for 20$. 22. Yard sales: 225$. I had one mediocre and a few mini yard sales in June. I forget how much I made to be honest, but I think that’s a solid guess. 23. 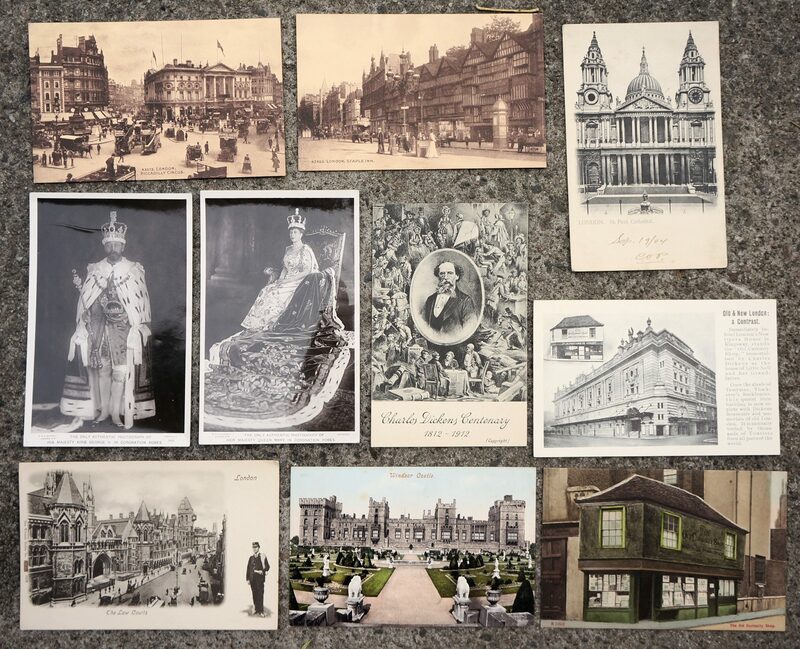 Vintage postcards from London, England: To a reader for 40$. These were part of that nice old collection I found in VMR back in May. There were more than what’s pictured above, and I still have the royalty postcards if anyone is interested in those. Total: 1857.50$, 12459.50$ so far in 2017. Current projections put me at around 25k for the year, which would be a record! Thank you, as always, for taking the time to document/photograph/share so many of your finds/sales! They are always a fascinating blend of objects. I love lawn shopping and I love seeing your posts, I found a great vintage cast iron tea trolley last weekend near my home, some rust but restoring it, my best find lately, however I did go to a deceased estate garage sale and picked up an alarm clock , framed cigarette cards, a red retro beauty case and a lovely retro donkey statue. I am in Sydney in quite an affluent area. We now can book 2 council clean ups a year. You do so much better than me I am often envious.